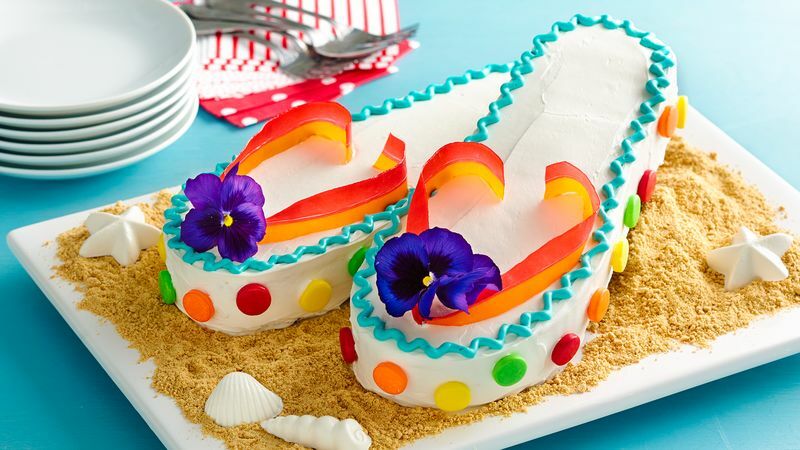 No birthday party is complete without a cake, and no summer soirée is complete without Betty’s official birthday cake of summer, our Flip-Flops Cake. Made easy with Betty Crocker cake mix, whipped vanilla frosting, Fruit by the Foot snacks, edible flowers and an easy-to-follow cutting guide, this sheet cake only looks like it takes a lot of time and finesse. And to round out your beach party, check out these darling and delicious food ideas sure to make a huge splash.